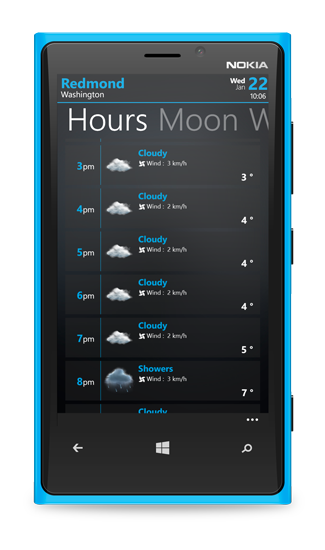 Check the weather at a glance with Bright Weather in your Live Tiles on your home screen. 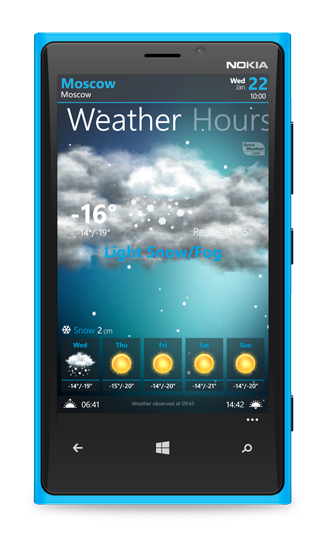 Bright weather is a unique weather experience on Windows Phone. 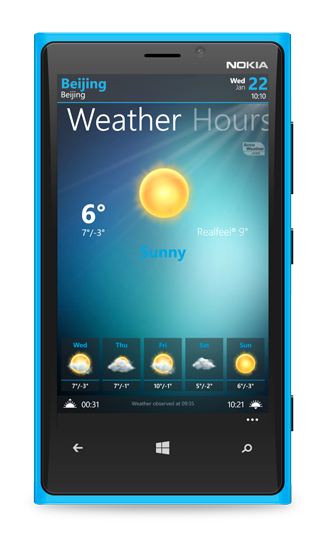 This application provides detailed screens to quickly check the weather in an experience that really takes advantage of Windows Phone. The main screen will provide you with a summary of current weather conditions and forecasts for the next 4 days embellished with stunning animation for a truly immersive weather. You can also follow the hourly evolution of the weather conditions throughout the day and know the next moon phases. Thanks to the geolocation, the weather follows you around wherever you go and you can also add as many cities as you want to see the weather in your favorite places. In Bright Weather, you will find the spirit of the Windows Phone experience. Customize the app with the accent color of your phone. 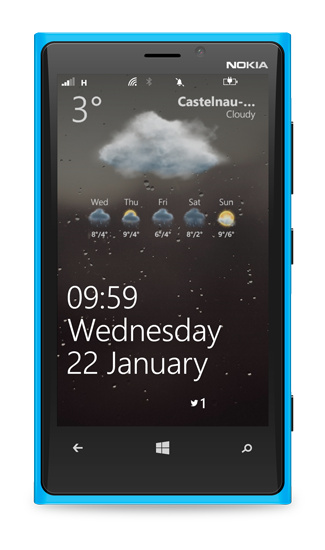 Put the Bright Weather’s Live Tile for live weather on your home screen. Give Bright Weather access to your lock screen to check the weather without even unlocking your phone.